I have always liked the idea of a wireless speaker but never got round to buying myself one. I already have a set of Acoustic Energy 2.1 speakers which produce brilliant sound quality but are quite big and bulky to use at the moment as I don't have the space to use them. I ended up getting this Kitsound bluetooth speaker for Christmas and have made so much use of it since then. The first thing I noticed about the speaker is how small it is, measuring up at 25x10x7cm, which makes it great for placing anywhere. It has its own case included which it fits in nicely including all the cables and other bits. It has a small stand disk that slots into the back so you can stand it up, and then it easily removes to fit back into the case. The speaker has a lithium ion battery and a charging cable, which I think is good as it means you don't have to keep buying batteries and you get an impressive battery life of up to 20 hours. I've not kept check of how many hours it does last for, but I haven't had to charge it that often even with plenty of use. The boombar produces an impressive sound for its size and loud enough to use anywhere around the house. I've listened to a variety of music and it matches up to all of them very well and boasts surprising sound quality. When connected via bluetooth you can adjust the volume with the controls on the front of the speaker and via your device. Pairing the speaker was quick and easy for anything I have connected up including my iPhone, iPad and laptop. It has an impressive 10m bluetooth range which is ample for what I use the speaker for. Having the ability to sit on my phone and choose what I want to listen to without having to be restricted by an auxiliary cable connecting me to the speaker makes it so much easier. Being able to move the speaker around comes in very useful and makes it ideal for any occasion. The boombar can take up to 3 hours to charge using the mini USB cable provided but I really don't think this is long considering the time it will last from a full charge. Also, don't panic if you ended up wanting to use the speaker with a device that doesn't have bluetooth, as it has an aux port and a cable provided to connect your device. This speaker is priced at around £30 and I think this is a bargain for the quality of the speaker. Yes, there are better quality compact bluetooth speakers out there, but you will be paying three of four times the price for those. 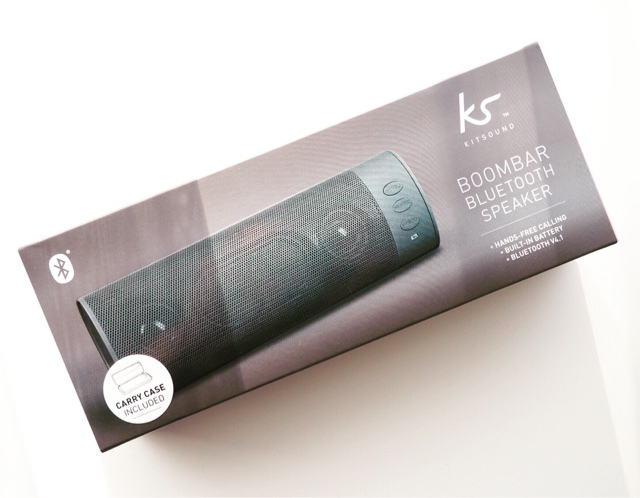 If you want a well priced, good quality bluetooth speaker that you can take anywhere, look no further than the Kitsound Boombar. Anthony Nolan is a charity set up to help save the lives of people who have blood cancer and blood disorders. They have set up a register to match people who, if needed, will donate their blood stem cells or bone marrow to people who need this transplant in order to survive. I will always remember the day when I first heard about the Anthony Nolan charity. We had a recruitment event in our assembly at school for the charity and we sat for around 20 minutes listening to a man talking about his young son who had a blood disorder and needed a bone marrow transplant to survive. Just as he was finishing his presentation, he revealed to us that unfortunately they didn't find a suitable match and that he son had died earlier in the year. That was the point that it really hit home for me. If he could stand up in front of a hall full of people and talk about losing his son, then signing up to the register was the least I could do. In order to join, you need to be aged between 16-30 and you will register online and get sent a 'spit kit' in the post. As it would suggest, you spit in the tube provided, and freepost it back so they can test this and register you. To register see the Anthony Nolan Registration Page. How easy is that? You may never be contacted if you are not a match, but you will stay on the register until you are 60. 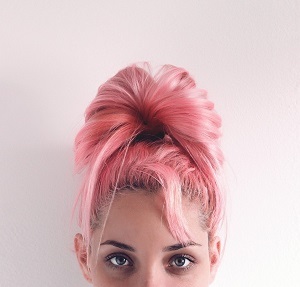 If you turn out to be a match, you will be contacted and talked through the process if you wish to proceed. Within 2 years of being added to the register, I was contacted to say I was a possible match for someone who needed a bone marrow transplant. In order to further test my suitability, I was asked to provide blood samples and send them back. A quick visit to the nurse later and my samples were on the way. As the register keeps all details anonymous, I didn't know anything about the patient. In the end, the patient turned out not to be suitable for a transplant at that moment in time. Even though I didn't end up having to donate the bone marrow, the prospect that I could have possibly helped save someone's life was amazing and worth any effort from myself. To find out more about what the charity do and signed up to the register, see their website. Why not sign up to the register, you may end up saving someones life!